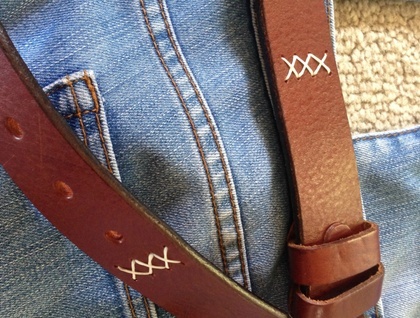 I have hand stitched the cross stitch on this genuine leather belt. The buckle is brass and will be made to suit your size. 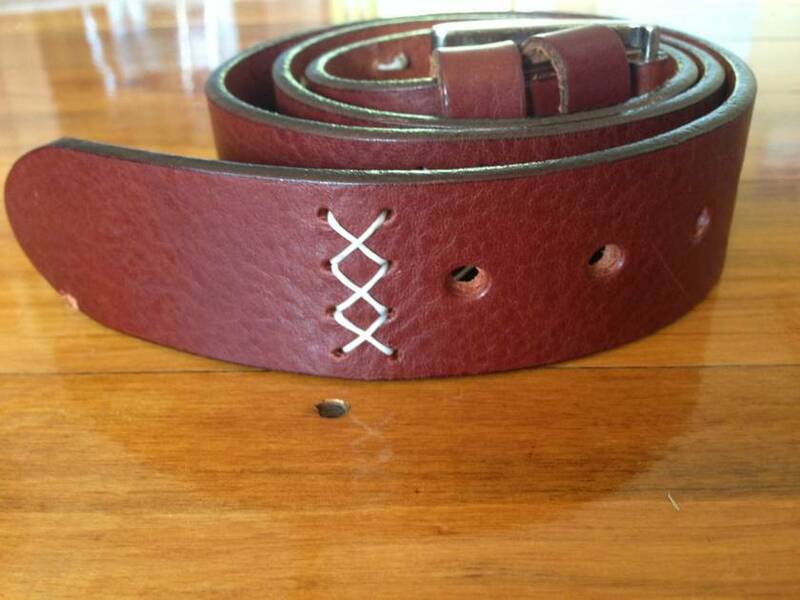 Leather colour is brown with white stitching. 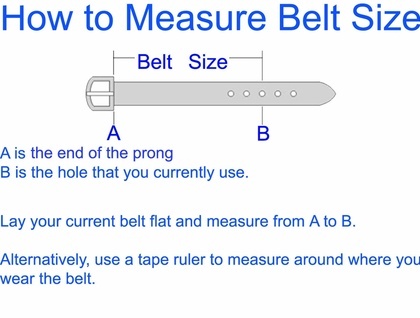 Belt width is 32mm. Because each belt is custom made to your size, please allow a week for delivery. To determine your size look at the instructions in the images. 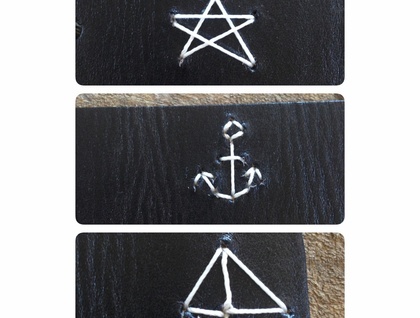 This belt will be something a little different from all your friends belts.